At The Off Grid Modern Prefab Zero Energy House Built of SIP, Fall Is Finally Here. thanks to the energy efficient SIP of the modern prefab house. In the past three years we've had numerous tornadoes, the last just four miles away, so even in a SIP house I get SUPER nervous. Oh Lawd HERE WE GO... Come on, SIP house! 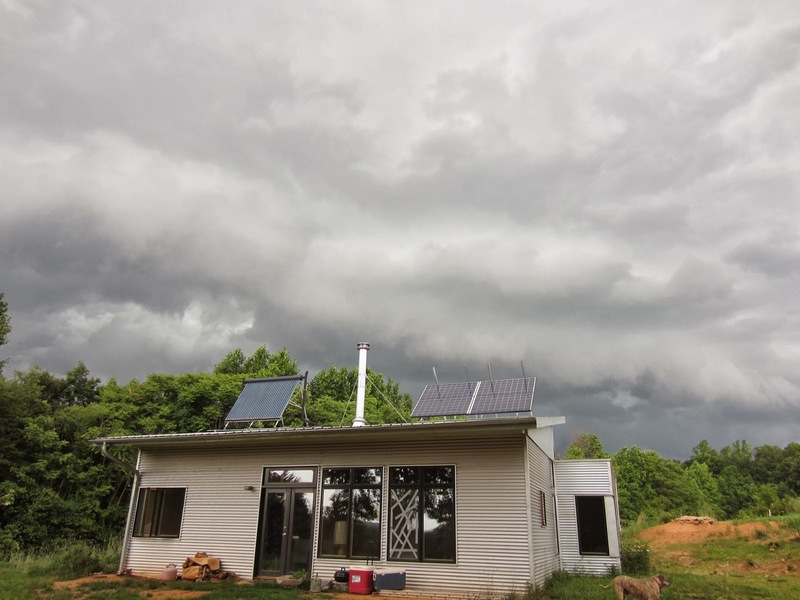 Each time we go under a tornado watch, I mentally tick down the reasons we are grateful for a SIP house, which is one of the many reasons I chose SIP for our prefab house kits. 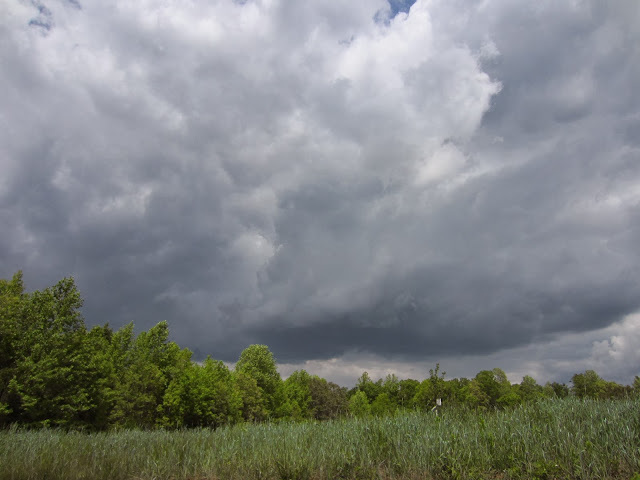 Meets and/or exceeds new Florida and Gulf Coast hurricane requirements with engineering up to 230 MPH wind loads. "...the structural insulated panels that encase his homes provide a superior wall assembly that can better tolerate the effects of extreme weather and resist damage from fire, mold and water. to hold up to hurricane-force winds — or pretty much anywhere with high-wind restrictions — these panels will stand up,' he said. 'Because these panels have such a high thermal mass, extreme heat and cold don’t affect the home as much as with a conventionally built, code-constructed house.'" 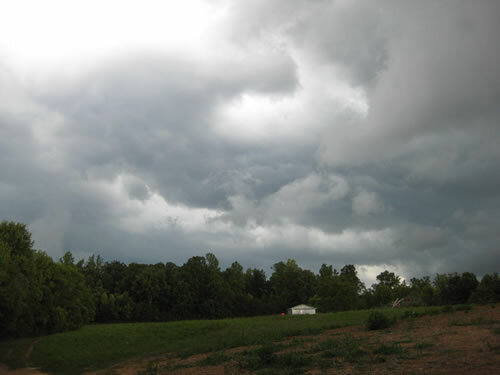 So I was calmly and quietly doing tornado prep (making sure all windows are locked, interior doors closed, etc.). 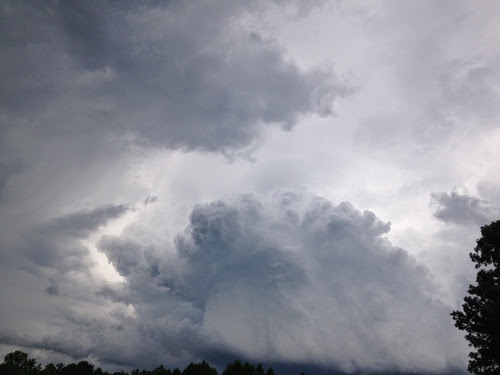 A lot of times during a tornado watch I don't mention it to the kids unless it is bedtime and they need to get in one room or if there ARE spouts forming. They know the drill of what to do when I do call them to action, so in the meantime, I feel no need to have EVERYONE worry. I'm the mom, I'll carry that on a need-to-know basis. So Pip 2 was oblivious, reading in the corner, I'm skulking around getting ready, when I look down and a wolf spider is skittering right to her feet! I grabbed this glass and caught him. I froze, caught in the act, as she glanced over, quietly took in the scene, then greeted the spider with, "Oh, hey, Wolfie..." and went back to reading! 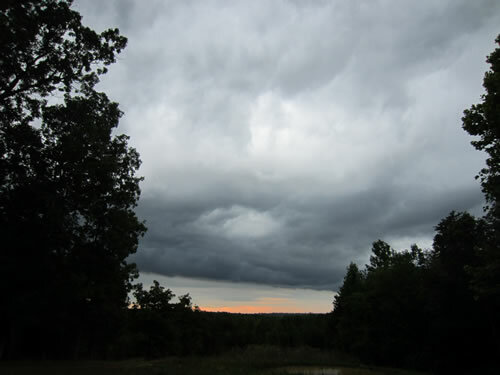 Thankfully, right at bedtime, the dangerous front passed to the east, and instead, delicious rainfall comfortingly hit the roof of the prefab house. Our Rainwater Collection Replenished The Cistern, Again. It's great to have a full cistern again after a drought!!! Look how depleted our poor little pond is! 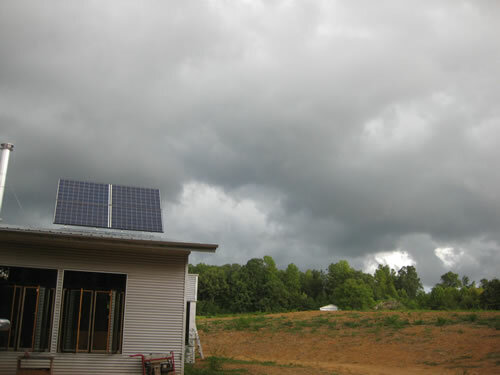 With the tornado watch ended, life at the passive solar prefab... went on. Off Grid In A Zero Energy House, Cook Stove Season Is (Almost) Here! This morning I finally made the first fire in the cook stove for the year, we didn't need it but hey, it's Monday and I want to make soup. 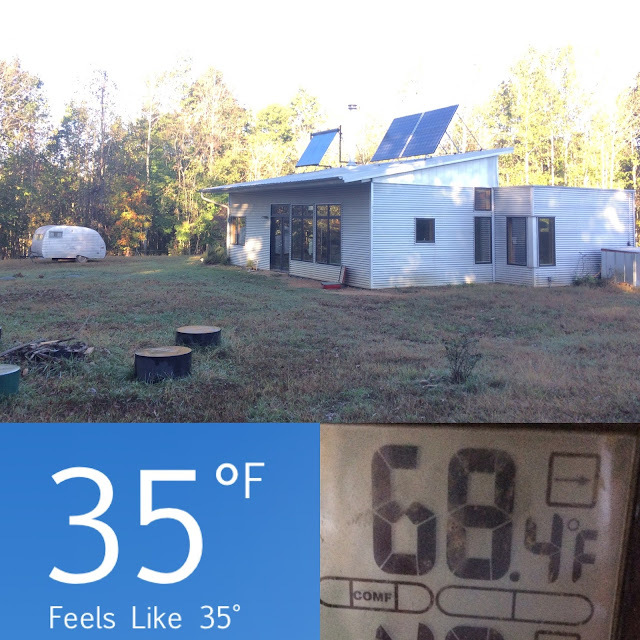 Temperatures are in the 30s, only rising to 50s today, it's still really "too hot" temperature-wise to make a fire in such an energy efficient modern prefab house but like I said: soup. The project came about after Puerto Rico was hit by two devastating and powerful hurricanes in September, and Musk reached out about Tesla helping." I *love* the idea of being able to order groceries for pickup. As much as I *appreciate* it when Handsome Husband runs to the store for me, it's just natural that items get forgotten. Suddenly I have half the ingredients to make the menu I planned for that big dinner party, or not what I asked for at all. I *love* that I can order exactly what I want, and all he has to do is pick it up! What I do NOT love is: plastic bags! What? I hope grocers that offer this service quickly move to a more sustainable system- remember milk crates? 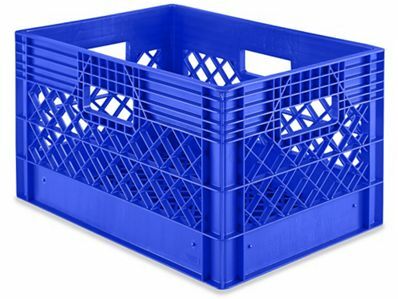 Why not have customers, for a deposit, use milk crates instead? And then on their next pickup, they can have the empty milk crates in their trunk to be unloaded when the car is refilled with groceries? As convenient and efficient as Grocery Click Lists are for customers and grocers, plastic bags are unacceptable. And with these thoughts, I hope you have a great week.